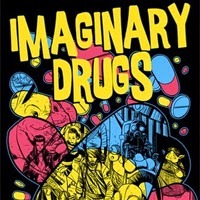 Posted by Benjamin | 5/10/2014 | Catastrophage, IDW Publishing, Imaginary Drugs, Preview, Release, The G.U.N.T. And I'll have two stories in it: "The G.U.N.T." and "Catastrophage". I was tapped to write a story in the kickstarter exclusive, and asked to return for a second story in the IDW book. Michael McDermott has put together an exceptionally good book full of the greatest up-and-coming creators out there. For fans of Vertigo's CMYK or Strange Adventures. Categories: Catastrophage, IDW Publishing, Imaginary Drugs, Preview, Release, The G.U.N.T.